Is Quitting Ever Okay in Kids' Sports? If your child starts talking about quitting sports, first find out why. 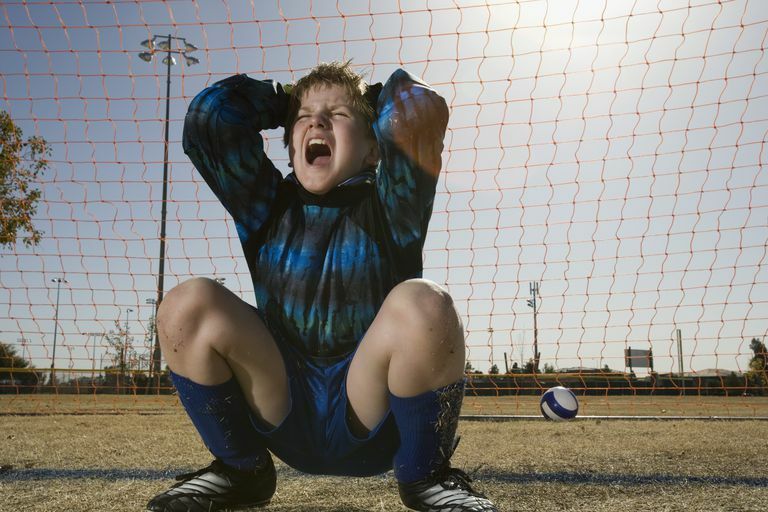 If your child plays sports, sooner or later you'll deal with a declaration of "I'm quitting!" But before you say no—fearing your child will be branded a quitter for life—hear him out, and try to understand his motives. Better yet, develop an anti-quitting plan even before he signs up for a new sport. Discuss up front what kind of commitment your child is making: That he'll need to stick out the whole season, for example, or a certain number of weeks or months if the sport doesn't have a defined season. And of course, injuries can mean a need to quit, or at least take a break for healing. You seemed really interested when you first signed up. What's changed? Have you been disappointed by your performance, or your team's? How do you think your coach/teammates would feel if you left the team? Is there something else you would prefer to do instead? Would you like to play the same sport, but on a different team? Would you like to continue to learn this sport, just not right now? Would you like to try a similar sport? Depending on what you've learned from these conversations with your athlete, consider whether it's worth pushing to change her mind. Chat with her coach or instructor, who might have some helpful insights. If it seems like your child is at risk of burnout, a break could help recharge her batteries and return refreshed to the sport she once loved. If you decide that your child does need to stick with the sport, make sure she knows why and for how long: "We've invested in these classes and the necessary equipment, so you need to continue until the end of this session. After that, you can try something different if you'd like." If you determine that quitting right away really is the right move—say, your child's grades or her health are suffering—praise her for knowing herself well enough to make the difficult choice, and for coming to you for help. Remind her that she can try again later if she wants to, or seek an alternative. She might enjoy the same sport on a less competitive team, for example, or an individual version of an activity instead of a team (or vice versa). Quitting doesn't have to be the negative it's often made out to be. After all, we want our kids to be willing to try new things. They won't do that if they feel they're making a lifelong commitment every time. The more opportunities your child has to try new sports and physical activities, the more chance he has of finding a long-term love. And that's much more important than being branded a "quitter."